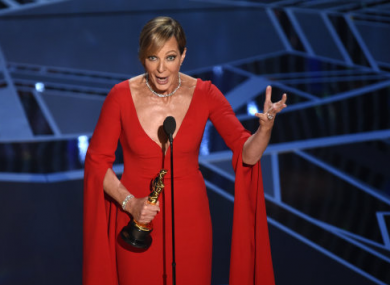 THE 90TH ACADEMY Awards took place in LA last night, and thankfully there wasn’t a repeat of last year’s envelope gaffe. The Shape of Water picked up Best Picture after Warren Beatty and Faye Dunaway had a successful second chance at presenting the Oscar. The film also won Best Score, with director Guillermo Del Toro taking Best Director. Three Billboards was a big winner in the acting categories, with Sam Rockwell taking Best Supporting Actor, and Frances McDormand nabbing Best Actress. Get Out’s Jordan Peele won his first Oscar for Best Original Screenplay (becoming the first black man to ever do so), while James Ivory became the oldest Oscar winner ever at 89 for his Best Adapted Screenplay, Call Me By Your Name. Christopher Nolan’s war epic Dunkirk took three Oscars for Best Sound Editing, Best Sound Mixing, and Best Editing. Unfortunately, there was no luck for the Irish, with Saoirse Ronan losing to McDormand, and Consolata Boyle’s work on Victor and Abdul losing Best Costume Design to Phantom Thread. Martin McDonagh also lost out on Best Original Screenplay to Jordan Peele’s Get Out. Email “No luck for Saoirse, but here's the complete list of 2018 Academy Award winners ”. Feedback on “No luck for Saoirse, but here's the complete list of 2018 Academy Award winners ”.